Ophthalmic assisting makes a difference in people’s lives and has high job satisfaction. If you are a high school senior, or a recent graduate, and are considering your first full-time job, there are a number of allied health opportunities available in Texas. You may hear “allied health” and immediately assume expensive degrees and training programs are required. However, that is not always the case. Many medical practices accommodate entry-level professionals with customized training based on the needs of the business. One of these fast-growth career paths is the ophthalmic assistant, or OA. It sounds very formal and important, doesn’t it? That’s because it is! An ophthalmic assistant is a key player on an eye doctor’s medical team. But don’t let the formal nature of the name intimidate you. This job is remarkable because it only requires a high school diploma to begin, followed by real world on-the-job training. If you are a compassionate person interested in helping others while also working as part of a medical team, and if you are eager to learn new skills, you might surprise yourself by how quickly you can learn the ropes and advance a career in medicine. The OA is invaluable to the function of the medical practice. Not only do they help the business run efficiently, but they are also involved in direct patient care, assessment and even treatment. As you can imagine in an eye clinic, some patients have experienced vision loss and need help navigating their environment. An OA greets patients and escorts them to the examination room, ensuring they are safe and comfortable. Once the patient is settled, the OA engages them and completes patient work-up forms, collects health histories and sometimes administers therapeutic eye drops under the doctor’s supervision. 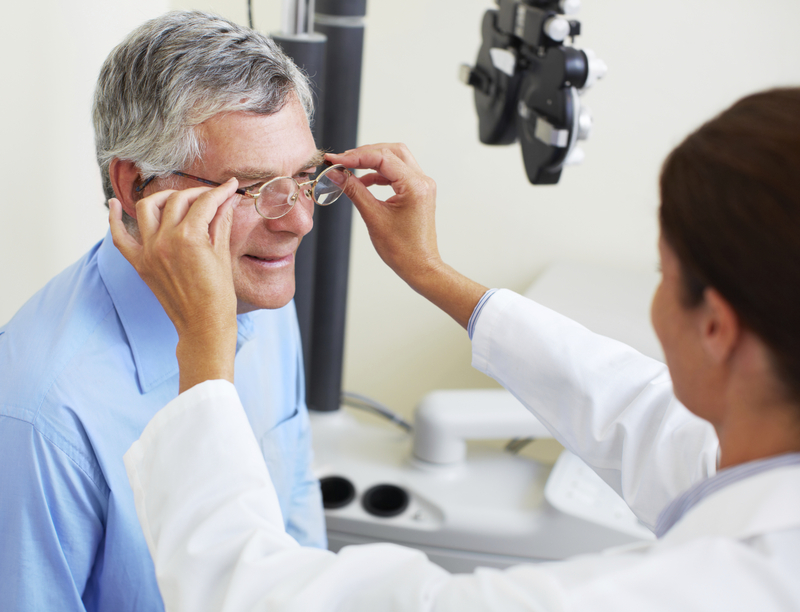 OA’s also conduct visual field testing and other vision assessments. There is a tremendous need for OAs in eye care practices across Texas. In fact, they’re in such high demand that entry-level practitioners can reasonably expect to earn close to $30,000 annually, an almost unmatched salary for a role requiring no higher education or certification. For those OAs who find joy and personal gratification in their role, a number of community colleges in Texas provide formal certification programs to advance their careers: Tarrant County College, Tyler Junior College, Collin College, and San Jacinto College. And like any allied health role, the experience gained in the medical practice is immensely valuable and transferable across many different healthcare roles. OAs are highly regarded as well-rounded medical professionals who make a difference on professional medical teams and in the lives of their patients. If you are a self starter - which your potential administrator would love - simply inquire politely at an ophthalmology office about OA openings and their training process. A persistent person with a professional appearance, a good work ethic and a compassionate spirit might get lucky by inquiring directly. Read more here. If you are interested in learning more about the role or available positions across Texas, contact Tim Chase at the Joint Commission on Allied Health Personnel in Ophthalmology at [email protected] or 800-284-3937 x 224.